In the recipes below I have a few “bread” recipes, some veggie recipes and protein recipes: a few beef, a few chicken and a few fish. No more steamed broccoli and baked chicken, although that’s okay once in a while! I hope these recipes spark your imagination, because eating healthy doesn’t have to be boring! It is estimated that Americans spend over $60 billion per year on weight loss programs or trying to lose weight (2). Also, the worldwide obesity rate has tripled since 1975, with approximately 1.9 billion adults considered overweight throughout the world. (3) Chances are, you or someone you know are either on a diet or has tried to lose weight at some point. We all start weight loss programs with good intentions. Then one of two things happens. Either we lose the desired weight, only to gain it back after returning to old eating patterns or we give up because the weight loss meal plan is too strict or boring. If you’re in the former group, you’re in good company. (Hint: I’m in this group) There’s a statistic floating around in the world of weight loss, which you’ve probably heard, that 95% of dieters regain the weight they lost. Some say this is just folk lore and can’t be proven. Whether it’s accurate or not, it is an indication that people have trouble sticking to a healthy diet, losing weight, and keeping it off. The key to any good weight loss plan is not to make temporary changes, but to make a healthy and permanent change to your lifestyle and eating patterns. One of the keys to changing your eating patterns is learning how to prepare interesting and tasty meals, while keeping them healthy. That’s what I set out to do, as I entered the next phase of my 21 day detox. As many of you know, I’m currently doing a 21 day Red Tea Detox plan. The first 7 days consisted of a 7 day fast, which included a 72-hour herbal tea fast, followed by 4 days of 24 hour intermittent fasting. Today, I’ve begun the first of a 14 day/4 phase eating plan. Phase 1 is 5 days in length, with day one being only vegetables and the remaining four days will be veggies and protein. Since I’ve been fasting for 7 days, the last thing I want to eat is a plate of boring, steamed veggies and baked chicken or fish. 😝 Who’s going to stick to a diet like that?…BORING! The meal plan I’ll be following is a low carb paleo diet, combined with intermittent fasting, which means I’ll be on a 16/8 schedule, 16 hours fasting and 8 hours eating, 3 meals per day. I’ll be aiming to keep my carb count below 30 grams per day. For my calorie count, I’ll aim for 1100/day, with an upper limit of 1500. The allowed foods are VERY healthy, with nuts/seeds, lean forms of protein, as well as heart healthy fish and alkalinizing veggies. One of the keys to sticking to any weight loss plan is to make it interesting. So, as I was writing my meal plans for the next 5 days, I decided I should share some of the recipes I found with all of you. So, armed with the above two lists, I set out to find some fun, interesting and tasty recipes to include in my meal plan. I want our meals to feel like we’re not missing anything. I can’t have boring meals and stick with the eating plan…nope. In the recipes below I have a few “bread” recipes, some veggie recipes and protein recipes: a few beef, a few chicken and a few fish. No more steamed broccoli and baked chicken, although that’s okay once in a while! I hope these recipes spark your imagination, because eating healthy doesn’t have to be boring! 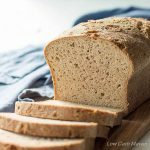 BREAD – Since nuts and seeds are allowed, I availed myself of the plethora of creative people on the internet, who have created paleo and keto versions of different items. 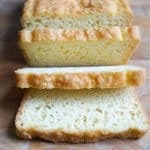 I’ve made this recipe MANY times and it’s wonderful! Even my kids and hubby like it. Make sure and follow her tips. They make all the difference! What I love about this recipe is the high fiber content. There is 7 grams of fiber per slice! VEGETABLES – I feel creativity was essential for this particular food group. While we all know vegetables are very healthy and good for us, they don’t always taste good. And, let’s be honest, they can be kind of boring. I looked for tasty and sometimes creative ways to prepare veggies. Here’s what I found. This was such an informative post! Thank you for all the amazing recipes. I was doing keto but have now just gone to low carb. Oh that’s a complete,full of healthy deliciousness article. Sorry for the delayed reply. I’ve been on a leave of absence and am currently getting caught up. Awesome! My pleasure!